Recovery is for everyone and anyone with a genuine desire for change. Treatment in a methadone program offers the potential for change, and a new path which can lead to a much improved life. In the field of addiction recovery, there are a multitude of methadone treatment programs all across the country. These programs vary considerably one to another, and this is a result of treatment philosophy, staff experience & qualifications, funding availability, and the underlying structure and operation of the methadone clinic itself. Some methadone treatment programs are for profit and some are non-profit. Both can deliver high standards of client care and ethical treatment of their clients. "Good" treatment programs are generally identified as being so by their own clients. Conversely, if a particular methadone program is "not so good", their clients will recognize it immediately and the word will get out very quickly. Methadone treatment, and opioid addiction recovery, are not radically different from other substance abuse treatment programs or models of change. The underlying addictive disorder is fundamentally very similar. 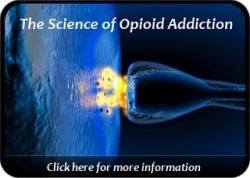 What separates opioid addiction from some other addictions is the overwhelming physical dependency that can develop with opioids and the associated withdrawal syndrome. The cognitive-behavioral changes, and eventual psychological growth, that occur in opioid addiction recovery are exactly the same as in any other addiction recovery path. The essential difference is the utilization of opioid replacement medication to thwart the terrible physical withdrawal symptoms that derail recovery year after year. Methadone and suboxone, when used properly, are highly effective in helping addicted persons move forward with their personal recovery. Methadone treatment … and recovery! They go hand-in-hand, and are not mutually exclusive. If you are currently a client in a methadone clinic, then you have most likely heard treatment staff emphasize the importance of safety with methadone and the necessity of carefully securing take home methadone doses. Methadone is a powerful medication that is tremendously helpful to recovering individuals. It is also potentially lethal in the wrong hands and consequently must be deliberately safeguarded. There is a recently published article on Bloomberg regarding methadone being diverted and then taken by someone who later died from an overdose. This turn of events has led to newly proposed legislation in five states (Maine, Indiana, Minnesota, West Virginia, and Pennsylvania) that would further tighten regulations regarding the operation of methadone clinics and their award of methadone take home medication to their clients. The reported misuse of methadone, and associated deaths, was allegedly tied to several private, for-profit clinics that operate in these states. One of the criticisms of the private, for-profit clinics was that they are not providing "enough services". This is intended to mean that the clinics in question were not providing sufficient education & counseling support or adequate monitoring of those who receive take home methadone. It is critically important that all methadone clinics (both private and publicly supported) implement thorough measures to educate clients on methadone safety concerns as well as institute monitoring protocols like 24 hour callbacks and random drug testing. 24 hour callbacks require take home recipients to return to their home clinic within 24 hours and to produce their methadone take home doses for count and inspection by the clinic's medical staff. It is also important that methadone clinics only award take home medication privileges to those clients who have achieved certain progress milestones such as successive months of clean urinalysis, attendance to required counseling sessions, the absence of criminal charges, and demonstrated appropriate behaviors & attitude toward staff and peers at the clinic. When individuals intentionally divert methadone doses or mishandle methadone through lax practices (such as leaving it sitting out in plain view), they put others at risk and ultimately undermine the delivery of methadone services in the community. In other words, the mistakes of a few can negatively affect everyone. This also erodes the community's confidence in methadone as a life-saving medical treatment. In the end, it is the shared responsibility of all methadone clinics and their clients to insure that methadone is taken as prescribed, and safeguarded from diversion. When proper precautions are not honored, tragedies will occur. This will lead to state legislators taking matters into their own hands with additional laws & regulations that may keep worthy individuals from receiving a valuable privilege. 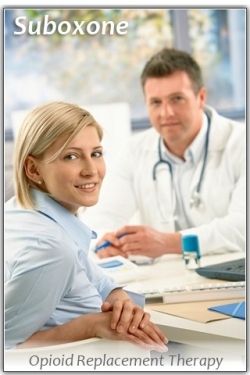 Take home medication is so very beneficial to honest, hard-working individuals in recovery. It frees them to seek employment, hold a job, care for family, and to more easily meet many other important responsibilities in their lives.